Two of the biggest names in broadcast news and country music will join the Broadcasters Foundation of America’s 2019 Golden Mike Award gala to honor Perry A. Sook, Nexstar Media Group, Inc. Founder, Chairman, President and Chief Executive Officer. 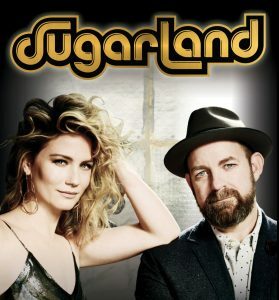 Craig Melvin, news anchor of NBC News’ “TODAY” and MSNBC anchor, will host the evening, which will include a performance by superstar duo Sugarland. The 2019 Golden Mike Award Dinner and Ceremony will be held on Wednesday, March 6 at the Plaza Hotel in New York City. The annual event is a major fundraiser for the Broadcasters Foundation of America, the only charity devoted exclusively to helping broadcasters in acute need. Perry Sook has over 38 years of professional experience in the broadcasting industry, covering all facets of the business. 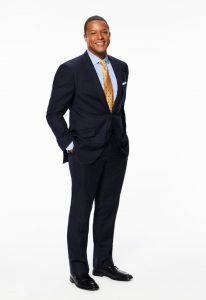 He founded Nexstar in 1996 with one local television station in Scranton, PA and began building the foundation of what is today one of the world’s leading local diversified media companies, with 174 stations reaching 100 markets and annual revenue in excess of $2.4 billion. The Nexstar team is comprised of more than 9,000 talented people across the United States united by a common vision, commitment to localism and a passion for professional excellence in local broadcasting and public service. As one of the nation’s leading providers of local news, entertainment, sports, lifestyle and network programming, Nexstar produces and distributes over 203,000 hours of local content per year across its television and digital platforms. The Broadcasters Foundation of America’s Golden Mike Award gala attracts a who’s who of broadcast media executives and celebrities. Previous recipients include Emily Barr, David Barrett, Michael Bloomberg, Bob Pittman, Gordon Smith, Jeff Smulyan, and more. For information, or to reserve a seat or table, please contact the Broadcasters Foundation at 212-373-8250 or info@thebfoa.org.